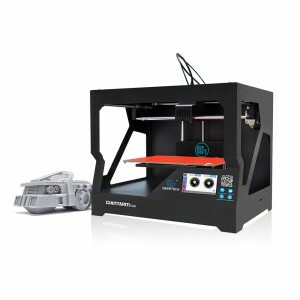 We combine GT2560 control board with LCD 2004 display to enhance people’s 3D printing needs. 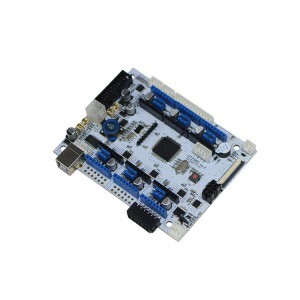 GT2560, an open source control board, is a compact board that is integrated with the mighty function of the Arduino Mega2560 +Ultimaker and Arduino Mega2560+ramps 1.4 on respect of both software and hardware and has more premium features. The streamlined interfaces effectively avoid the unnecessary troubles. Besides, the compact and highly integrated components highly integrated save more space and are easier to be mounted on most applications. 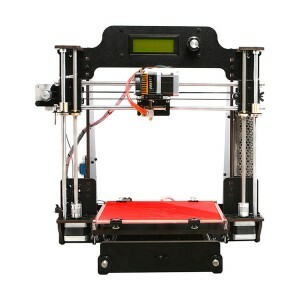 5 stepper motors, swappable driving modules, mighty ATmega2560 processor with 256k memory, 16MHz operating frequency and high-performance USB serial converter FT232RQ, all these make the GT2560 an ideal option for a 3D printer control board. What’s more, GT2560 can run over 12V to 24V which gives higher torque and higher rotation rate. LCD 2004 display is a basic 20 character by 4 line dot matrix controller module designed for different 3D printer motherboard. 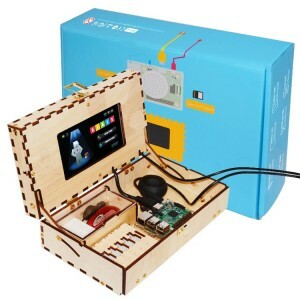 The product contains 20 Character x 4 Line LCD display, a rotary encoder and 30cm connection cables. There is a SD Card slot on the back of the LCD Module, connecting it with the controller board of 3D Printer. 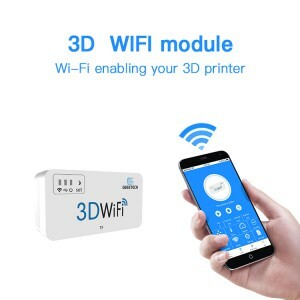 Just insert your SD card into the SD slot, you can print 3D models without PC. 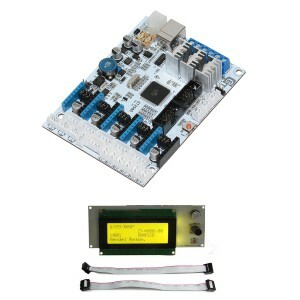 1.Integrated with the mighty function of the Arduino Mega2560+Ultimaker and Arduino Mega2560+ramps 1.4 kit, The GT2560 can not only take full place the them on respect of both software and hardware, but also features compact size, more convenient connection, and more stable. 2. Adopt ATmega2560 as the main control chip, coupled with the high-performance USB serial converter FT232RQ. 3. The power pack: operating voltage is 12V-24V; double power supply design feeds for heatbed and logical part separately. The current is 12A for heatbed and 5A for other parts. 4. The main circuit adopts SMD fuse tube, the diode added to the power port can provide reverse protection to the whole circuit, in addition, the 5V USB is USB port protected with 500mA Recoverable fuse. 5. 3 12v fan output and one PWM output for LED or other lighting equipment. 6. 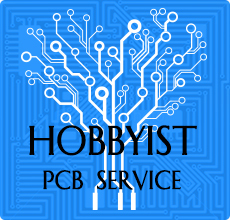 3 55Amp MOSFET (with LED indicator, the actual output is restricted by the PCB board and the connector), all 3 MOSFET are equipped with heat sink to ensure sufficient heat dissipation and stable operation. 7. 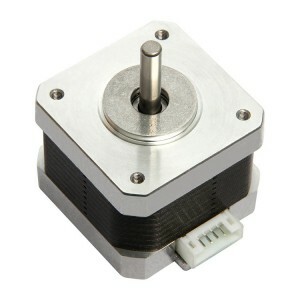 Support 5 A4988 stepper drivers (3 for X/Y/Z axis, and 2 for extruders); the subdivision of stepper motor can be setup by dial switch, eliminating jumper caps, easier to operate. 9. Extended LCD and SD card interface support both LCD2004 and LCD 12864, with which you can print without your PC. 10. The firmware is the prevalent Marlin, which is known for stability, usability and high performance. 1. 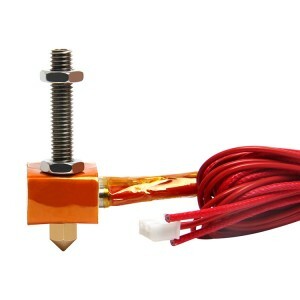 A 3-pin straight pin is added to connect with 3D touch auto leveling sensor, soldering is not needed anymore. 2. The USB connector will not provide 5V for the board, if you need to refresh the firmware, please provide external power supply. 3. The power port has been changed from hollow to solid one to provide higher current-carrying capability. 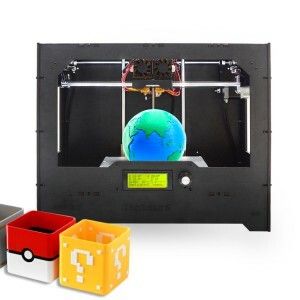 I have ordered this part on 18-Feb, 20190218062550376, with express deliver. And after 20 days it still says processing and I have as yet no tracking code. Can you please help? Sorry for late. Can I use this Ver. B board to replace my Ver. A+ on my GT I3 Pro C dual Extruder. 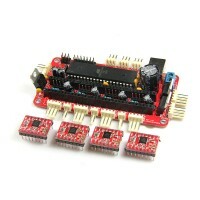 Do I need to order more A4988 stepper drivers also if mine might be bad ?? Do you sell only the display with the cable, too? 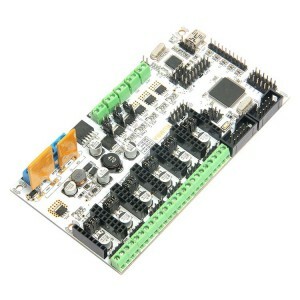 has any one uses the tmc2130 on this board? Hello, do you have shipping options to Mexico? 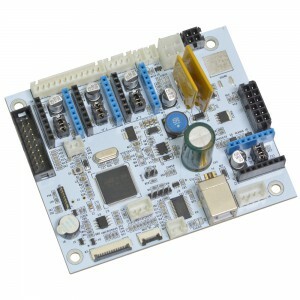 Is there a datasheet for this board (Open source GT2560 revb) ? Your statement that A10 uses GTM32 board is absolutely flawed. It's using GT2560 rev B board. 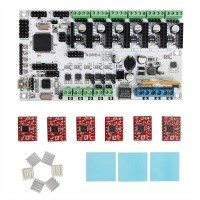 Where can I find a complete description and pinout of this board when I want to compile my own firmware for this board? will the gt2560 rev a firmware work on this board? can u tell which printer you use?